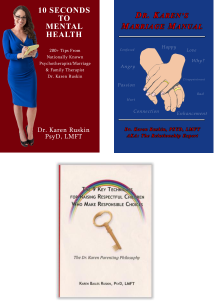 During my LIVE interview on ‘Trending Now’ Boston Herald Radio with Adriana Cohen and Joe Battenfeld, I shared practical marriage tips, excerpts from my book: Dr. Karen’s Marriage Manual, helped Joe through his Valentine’s Day upset, answered Hillary Chabot’s relationship questions, discussed my disagreement with Adriana’s proposal for a 10 year marriage contract, discussed my mental health and wellness practice based in Sharon Massachusetts, and more… If you missed this 1 hour chat between the 4 of us, you are invited to listen On Demand. Scroll to play at 8min30sec, which is where this segment begins. This interview took place on 2/14/14.